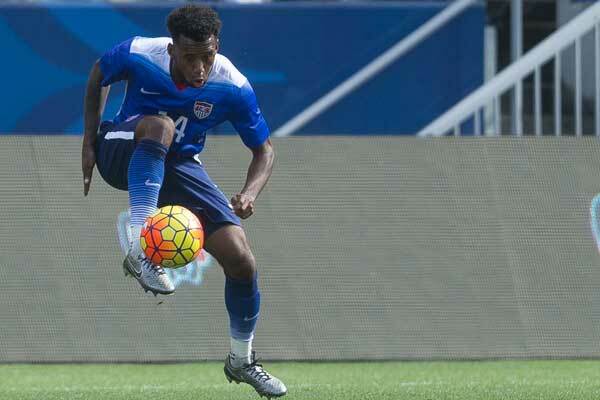 The roundup of USMNT players in Europe and Mexico starts with the goalscorers. Andrija Novakovich scored in Fortuna Sittard's 3-2 loss at Willem II. Novakovich scored in the 32nd with Willem II converting a penalty in the 44th. Branislav Ninaj returned the Sittard lead with Willem II converting another penalty in the 58th and winning from a 61st minute penalty. Jonathan Bornstein scored in . . . The roundup of USMNT players in Europe and Mexico starts in the Premier League where DeAndre Yedlin's Newcastle United shutout Huddersfield Town 2-0 at home. Huddersfield went a man down with a red card to Tommy Smith in the 20th minute. Salomon Rondon put Newcastle up in the 46th with Ayoze Perez scoring in the 52nd. Martin Dubravka kept the clean sheet without having to make a save. "We wanted . . .